The holiday season is a perfect time to thank you for the opportunity to serve as one of your most trusted advisors. In the spirit of holiday giving, TCM Wealth Advisors has continued our tradition of providing a charitable contribution to Akron Children's Hospital. In lieu of sending holiday cards or gifts, this is our way of expressing our sincere appreciation for our relationship with you. 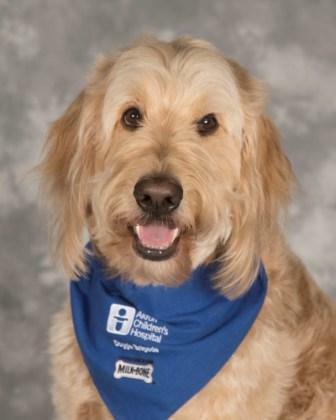 Earlier this year, Mac and I joined the Doggie Brigade at Akron Children's Hospital as a Volunteer Therapy Team. One morning every week, Macaroni brings comfort, joy, and big smiles to young patients, family members, and hospital staff at Akron Children's Hospital. Each week, we are incredibly fortunate to witness first hand (and paw) the incredible quality of patient care at Akron Children's Hospital. Since 1890, Akron Children's Hospital has grown to become one of the largest pediatric healthcare providers in the United States. They operate two pediatric hospitals, 30 pediatrician offices, and about 80 locations around the region. If you would like to support one of Mac's favorite charities and/or learn more about Akron Children's Hospital, please visit www.akronchildrens.org. Once again, we are extremely grateful for the opportunity to serve you. We will always be here for you as you think about and plan for what is most important in your life. We wish you and your family good health, peace, and prosperity this holiday season, and in the New Year.